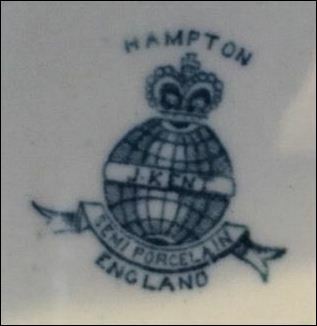 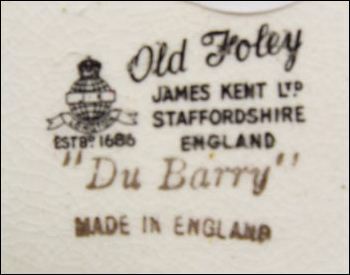 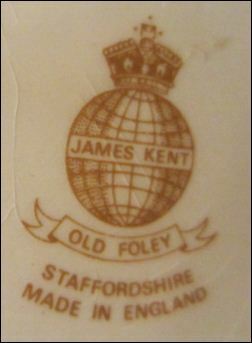 Earthenware and porcelain manufacturer at the Old Foley Pottery, Stoke-on-Trent. 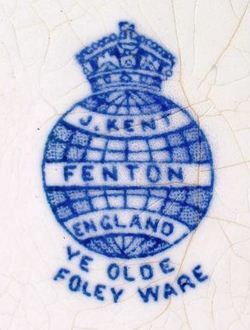 NOTE: The small district of Foley is very close to the municipal boundary between Fenton and Longton and the marks of James Kent use the town names of Fenton and Longton at various periods. 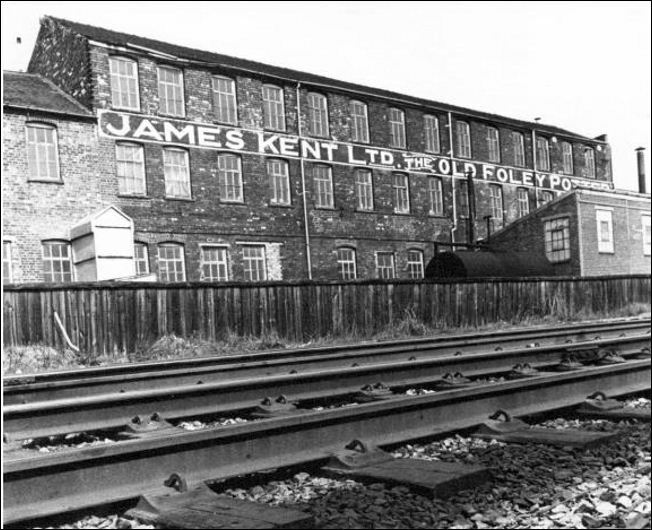 James was joined at the business by his four sons. 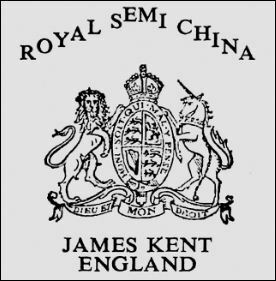 James Kent became a Limited company in 1913. 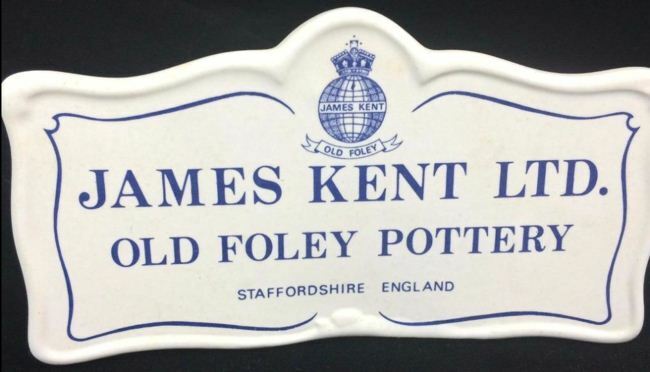 When James died in 1953 he was succeeded as Chairman by his second son, Philip Francis Kent. 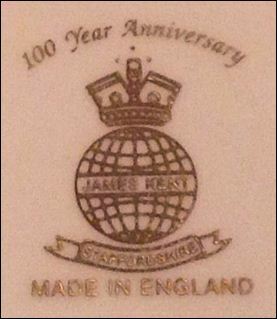 The company continued as a family business until 1981 when it was purchased by Bayer (UK) Ltd. [Bayer is a German multinational chemical and pharmaceutical company]. 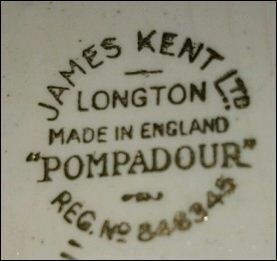 In 1985/6 the business was taken over by the pottery and engineer Morris Rushton. 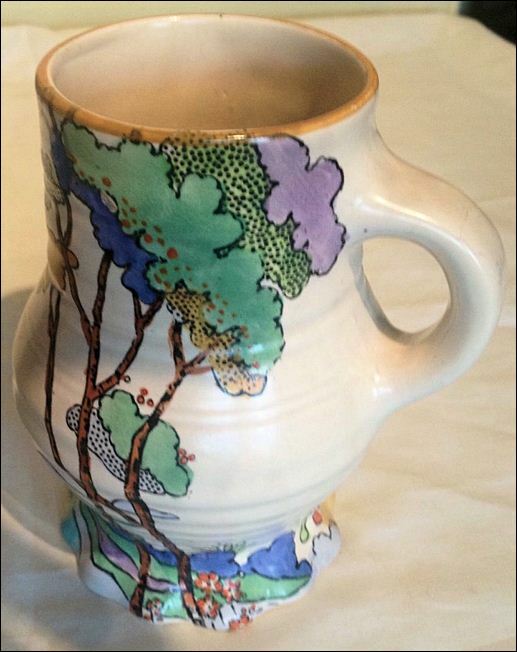 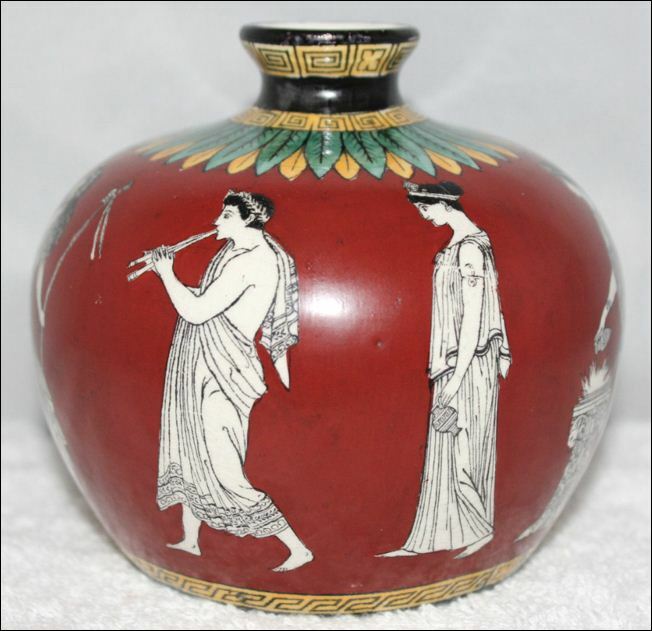 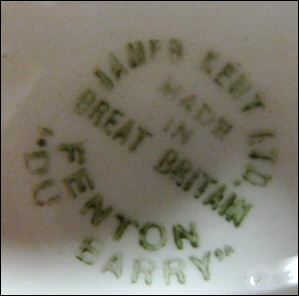 The association with Morris Rushton was shortlived and 1987 the business became part of County Potteries PLC. 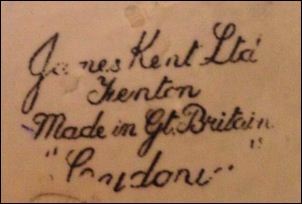 In 1989 County Potteries was renamed Carlton & Kent (from the names of Carlton Ware and James Kent which the company owned). 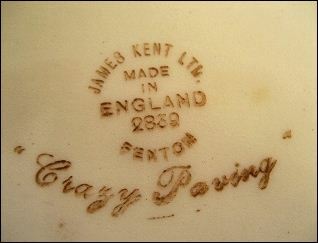 During the same year Carlton & Kent went into receivership and the James Kent part was purchased by M. R. Hadida Ltd., owners of Hadida Fine Bone China Ltd. 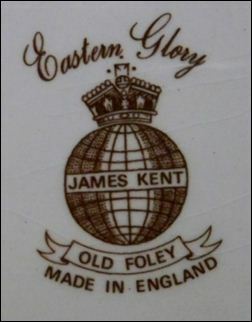 The company was renamed James Kent (1989) Ltd.
c.1995 Wedgwood sold the buildings of Foley China Works to James Kent who were operating at the adjacent Old Foley Pottery. 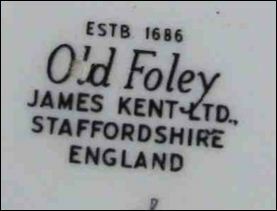 The Old Foley Pottery was demolished c.2006 and the company operated from the Foley China Works. 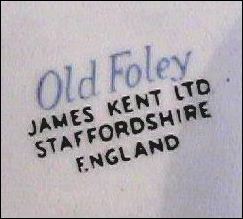 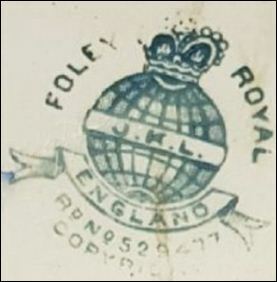 By c.2008 the company closed and by 2010 the Foley China Works had been demolished. 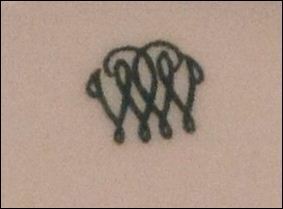 whereas those from the 1990's are open. 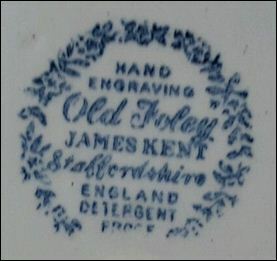 James Kent was started in 1897 (seee the backstamp further down the page). 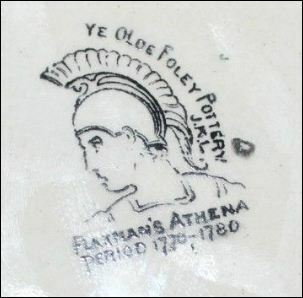 There may have been a previous, unrelated pottery works on the same site. 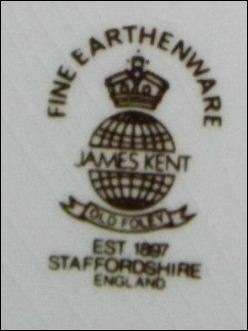 In 1989 the James Kent was purchased by M. R. Hadida Ltd., (owners of Hadida Fine Bone China Ltd.) and the company was renamed James Kent (1989) Ltd. 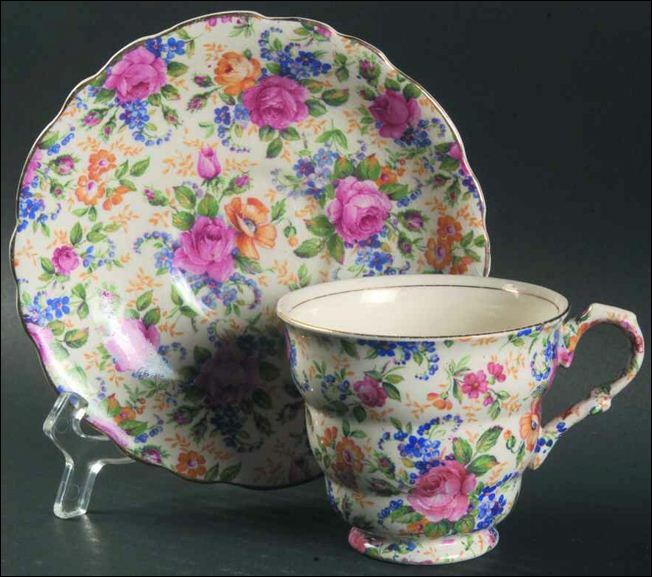 The 1990's saw the introduction of ware made from original moulds stored from the 1950's. 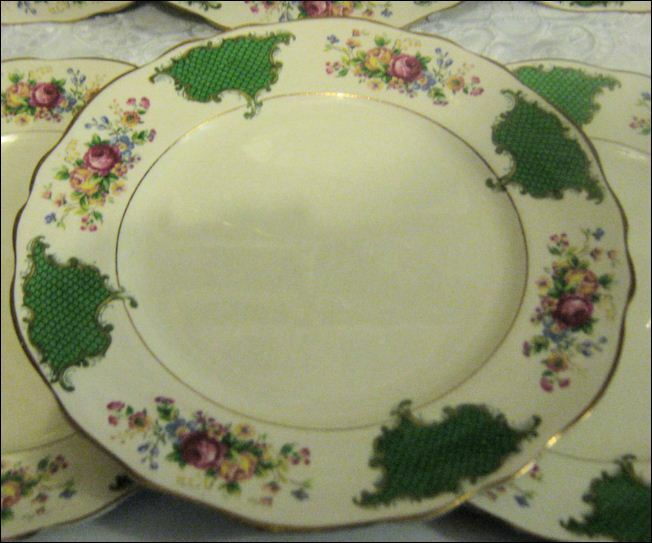 Popular rintroduced patterns were DuBarry, Hydrangea and Rosalynde. 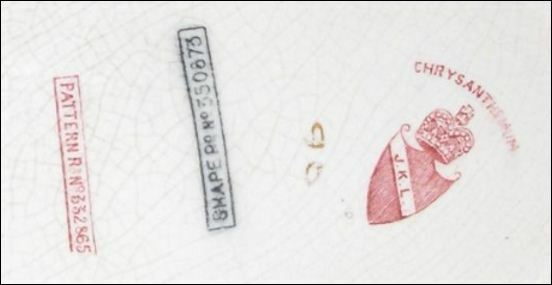 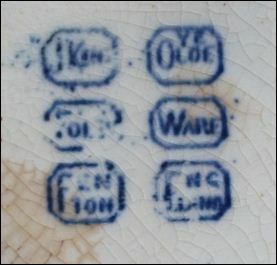 The backstamps are very similar to the earlier ones and so can be confusing. 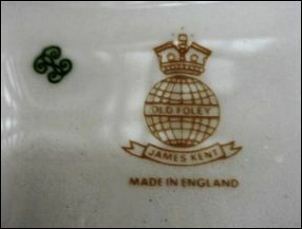 Any marks with "Collectors Chintz", "100 Year Anniversary", "Limited Edition" belong to this later period of operation. 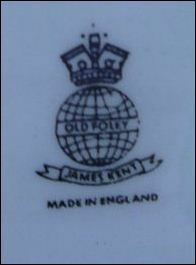 whereas those from the 1950's are filled in.